You are here: Home / Owner’s Manual / Compliance / Do Employers or Organizations Have to Pay Employees for Travel Time? Do Employers or Organizations Have to Pay Employees for Travel Time? Whether time spent traveling by an employee is compensable work time depends on the type of travel and its purpose. The time an employee spends in their personal vehicle going from home to work and work to home is not considered work time and typically is not compensable. There are, however, some instances where travel from home to work is considered work time to an employer. If an employee who is already home is called out on an emergency for their employer and must travel a substantial distance to get there. Time spent traveling as part of an employee’s daily work activity for the employer is compensable work time including travel from one job site to another or travel from one meeting place to another. The vehicle is used within the normal commuting area of the employer’s business. Its use is subject to an agreement between the employer and employee or the employee’s collective bargaining agreement. If an employee is away from home overnight due to travel for their organization – the employee would receive compensation for work time only during those periods that coincide with the employee’s regular work hours. This is true even if it occurs on a non-working day. Travel outside the regular work hours as a passenger on a plane, train, boat, etc., is not considered hours worked. It can be difficult to determine the regulations your organization falls under. For more information on how Employer’s Resource helps employers and organizations stay compliant and up-to-date, contact us! https://www.employersresource.com/wp-content/uploads/2013/11/Do-Employers-or-Organizations-Have-to-Pay-Employees-for-Travel-Time.jpg 300 300 Pauline Jolly https://www.employersresource.com/wp-content/uploads/2016/07/employers-resource-national-PEO-strength-local-service.png Pauline Jolly2013-11-20 12:11:272016-10-12 16:22:23Do Employers or Organizations Have to Pay Employees for Travel Time? Steering Clear of Uncle Sam’s Watchful Eye! You can make payroll and taxes a simple and easy process for your business. 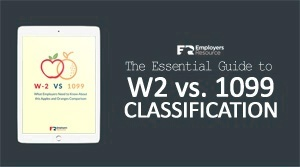 GHS Training Deadline for US Employers is December 1, 2013 81 & 38: As an Employer, Do These Numbers Mean Anything to You?